Forgive and forget. Turn the other cheek. Let bygones be bygones. We tend to trivialize forgiveness into trite, well-meaning platitudes. We know we’re supposed to forgive people, but do we really understand what true forgiveness looks like? Do we really understand why we’re supposed to forgive? And do we throw the concept out of the window when our grievances seem “too big” to forgive? One of the most famous statements of Jesus was the moment he was nailed to the cross and called out, “Father forgive them for they do not know what they are doing.” This statement will be the thread through which we will experience Lent during a series called Unconditional Forgiveness. This series will focus on Jesus’s teaching on forgiveness and the incredible implications of that teaching on our lives. 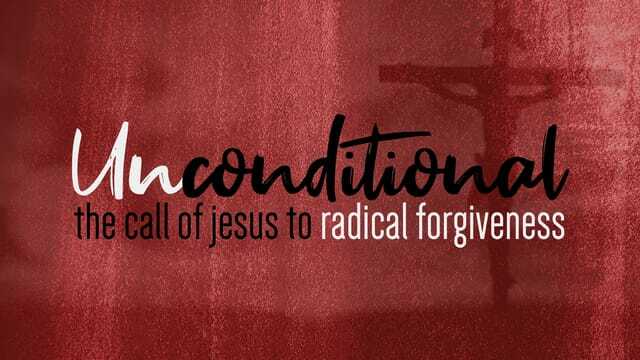 As we lead up to the celebration of Easter, we’ll spend this season of Lent going beyond the platitudes and learning just how radical our forgiveness should really be, focusing on Jesus’s teaching on forgiveness and the incredible implications of that teaching on our lives. We invite you to follow along with the scripture texts below and take notes by clicking "add your notes" in any section below. Click "save event" above to keep an archived copy of your notes. Our discussion guides are notes and thought-provoking questions based on the sermon content from each week. We encourage you to use the discussion guides as a resource in your small circle, short circle, one-to-one, with your family, or on your own for personal development and application.